Policies that respond to climate change and other environmental issues will increasingly impact the development of the global energy sector. The transition to low-carbon economies will need to be carefully managed, as the provision of secure, affordable energy is critical for economic growth and social development. More than ever, there is a need for a fuller understanding of the opportunities to promote synergies between energy, environmental and climate policies. 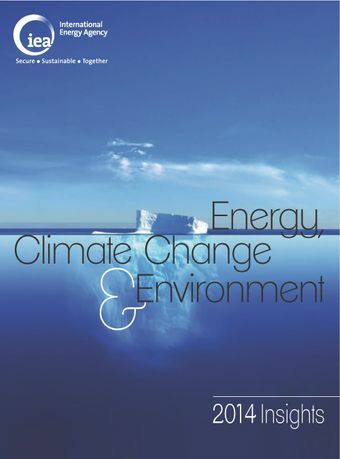 Energy, Climate Change, and Environment: 2014 Insights helps address this need with in-depth analysis of selected policy questions at the energy-climate interface, including:How can we accelerate the transition from (i.e. "unlock") existing high-emissions infrastructure?What are the best ways to design cost-effective emissions trading systems that fit with national circumstances?What are some alternative energy-specific metrics that support near-term emissions reductions and long-term decarbonisation of the energy sector?And, in the special focus of this report, can curbing local air pollution help reconcile energy priorities with environmental sustainability, including greenhouse gas mitigation?Addressing these questions will help inform decisions that can boost decarbonisation of the energy sector while taking into account security and economic objectives.This report also features an update of key energy and emissions statistics for ten world regions that should interest energy practitioners and climate policy makers alike.